“Bettye Davis’s impact on public education in Alaska is almost incalculable. For over 35 years she fought for better schools and more opportunities for thousands upon thousands of students. Bettye was my friend and colleague on the Anchorage School Board and in the legislature, but she was more than that, she was a shining example of the best of politics, and I will try every day to live up to her example,” said current House Education Committee Chair Rep. Harriet Drummond (D-Anchorage). “Bettye was a passionate champion for children and a friend. We worked together on bills to give children a real chance in this world. 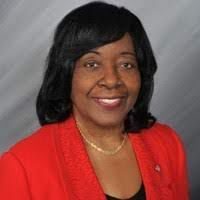 Alaska has lost someone who stood tall for others,” said Rep. Les Gara (D-Anchorage), who co-authored several pieces of children’s legislation with Bettye Davis.